You are here: Home / 2018 Show Archive / Animals Today January 6, 2018. Ideas to help dogs and cats for the New Year. Aiding wild animals near the home. The continued growth of the plant-based diet. Reviewing Earthlings. Risks from rabies. We begin sharing some ideas you and your children can try to help needy dogs and cats in your community. Maybe one or more of these suggestions will inspire you for the New Year. Then we discuss things you can do around your home to help the wild animals and critters who live nearby. We continue with what we think is the most powerful way to help animals, which is to adopt a vegan diet. Lori offers some information on the demographics of vegans and vegetarians in the US and worldwide. The plant-based food segment is growing rapidly, so there are many tasty options derived from plants to ease one’s transition to compassionate eating. And, lab grown meats, also known as clean meat, is coming soon, and may be a game-changer. 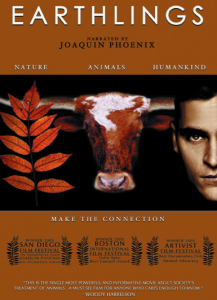 Peter then reviews the film Earthlings, which is celebrating its 10th anniversary. Make sure to see this one if you have not had the chance yet. It is free online. The first show of 2018 concludes with Lori talking about rabies with Veterinarian Dr. Robert Reed. Bites from rabies-infected animals can be fatal, but what is your risk? It is now very uncommon in dogs and cats in the US.